Dolce Vita di Libro: DVdL: YEAR IN REVIEW: WOW!!!! It takes many computers to run a book club these days. DVdL YEAR IN REVIEW: WOW!!!!! In just a few short months, a lot has happened. Here are some of the end-of-the-year DVdL highlights and what to expect in the exciting year ahead. In the beginning...Jennifer Johnson, Nedra Young, and Arelene Dulaney discussed having a monthly book club based on "murder mysteries centering on the culinary arts". The goal was to present an open-forum gathering of friends who would discuss ideas, socialize, and to enjoy food and wine. Good food, good conversation, good friends..."Fun" was to be the mantra. At the first "Unofficial Meeting", the group decided on a name, the meeting schedule and the book selections. Esteemed Members decided to dress as characters from the books at future meetings, decorations would reflect story-lines, and the pot luck food would be inspired by dishes in the selected books as well. Brother Andy came on board, acting as Creative Director. He immediately produced a series of off-beat commercials for DVdL, featuring himself dressed as various characters who are subsequently murdered. 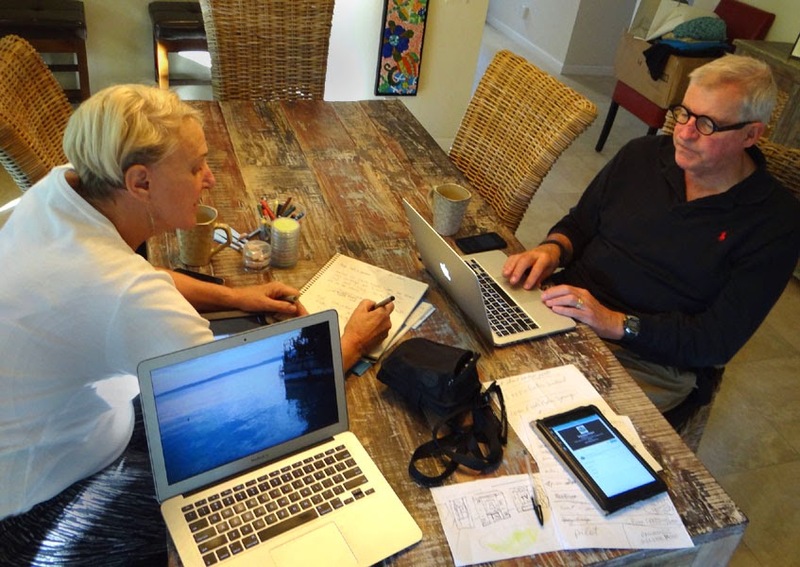 A few days later, the Dolce Vita di Libro blog was created and an instant hit. Ads directing people to the blog were placed on Craig's List in every major city of the world -- Rome, London, Berlin, etc. The response was overwhelmingly positive. Our first Official Book Club Meeting was held Friday, Oct. 11, 2013. Effervescent Jennifer Johnson amused everyone, dressed a mustached "Bruno, Chief of Police" -- setting the bar high for anyone else wanting to attend as a costumed character. Talented Dona Nill provided gorgeous hand-painted backdrops and signage. The food was unbelievably good. Members out-did themselves! Esteemed Member Peggy Vermeer gave a memorable Halloween party for DVdL members at her home. The beloved Peggy knows how to throw a party! The wonderfully gifted local artist, Davidro, designed a logo for the group, donating his time and efforts to the group. The DVdL Second Meeting was also held at Jennifer and Hunter Johnson's House. Nedra Young acted as Facilitator, holding everyone's attention as best as anyone could. During the meeting, some members made it known they were not happy with the book selections thus far. The theme was a "catering company". A hefty platform backdrop was brought in with sewing machines, guns, mannequins and so forth for ambience. DVdL gained a physical mailing address. DVdL also gained a Facebook page, a Twitter account, and Google profile -- done with the tremendous help of Jennifer and Hunter Johnson. The blog continued to received thousands of hits from viewers all over the world. Esteemed Member Davidro released his 2014 date book. Our DVdL Third Meeting had Lois Graziano as the Facilitator. Lois contact the author of the selected book who sent some very special gifts to the group. Lois also rang a cow bell to get everyone to stop talking over each other. It mostly didn't work. The theme was "Jersey Shore" and the place pretty much resembled an Italian restaurant. The group also decided to change the book selections to books with subject matters that were a bit more challenging than "cupcake mysteries". Everyone involved was pleased that the group expressed themselves and that responsive change occurred. Several members went on a "DVdL Day Trip" to Los Angeles. Members visited the stimulating Hollywood Toy and Costume and off-the-wall Necromance stores. A restful, inspiring day was had by all. One-of-a-kind DVdL Gift Baskets were purchased as Christmas gifts. Brother Andy created a FREE, downloadable DVdL 2014 monthly calendar. The calendar features Esteemed Members and Sponsors as characters with a comic brief profile about each one. 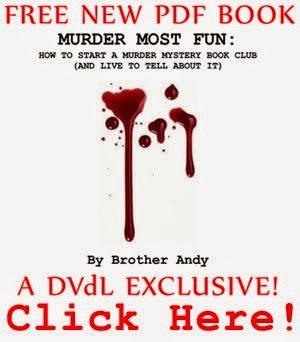 Brother Andy also wrote the first PDF published non-fiction DVdL book, "Murder Most Fun: How To Start A Murder Mystery Book Club And Live To Tell About It". The insightful book is available for FREE on the blog as well. The DVdL blog gained several business as on-going sponsors. 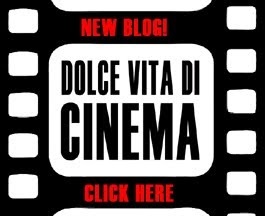 Because the classic films posted on the DVdL blog were so popular, an in-depth "sister" blog was created, devoted entirely to obscure, hard-to-find movies of all kinds: Dolce Vita di Cinema (dolcevitadicinema.blogspot.com). With the out-spoken Peggy Vermeer scheduled to act as co-Facilitator with wildly-unpredictable Brother Andy, expect the unexpected at the meeting to be held on Jan 10th. A second "DVdL Day Trip" to Los Angeles or San Diego is in the works. January will also see DVdL approaching media such as local newspapers, magazines, and other blogs. On the first day of the year, Google's Adsense has already pre-approved the placement of advertising on the DVdL blog. The goal in having ads is to have income enough to address the on-going needs of the group. Up-coming projects include a series of DVdL products, including a feature film. Brother Andy is in the process of writing a fictional murder mystery book, "The Foreshadowed". The book is scheduled to be available at the end of February. First on the agenda for the new year is finding a venue that would not only hold DVdL meetings, but also act as a studio for projects of all kinds. Our current meeting location will not be available after April 2014. If the coming year is anything like the last few months, hold on and...HAVE SOME FUN!!! !